There are basically four possible CDH1 genetic test results. · Benign: a variant with no impact on health. When it comes to pathogenic CDH1 gene mutations the guidance in the IGCLC HDGC Clinical Guideline for the recommended course of treatment is quite clear. For all other results it is somewhat fuzzy. Many variables come into play, including the specific gene mutation and family history. This is another instance of one size does not fit all. Test results need to be interpreted in the context of particular gene mutation, family history and situation. Below are the possible categories a family may fall into. Once it has been determined into which category a family falls, next steps can be identified. The recommended course of action will vary. Generally speaking there are three categories of HDGC families. 1) Classified as an HDGC family, they meet the established criteria* for screening for CDH1 gene mutations, and have been found to have a proven pathogenic CDH1 mutation. In some instances, the family does not specifically meet the established criteria*, however they do have family history of gastric cancer and have been found to have a proven pathogenic CDH1 mutation. 2) Families that meet the established criteria* for screening for CDH1 gene mutations too, however they have not been found to have a pathogenic CDH1 mutation. 3) There is another category of family, sometimes referred to as a non-HDGC family. Non-HDGC families are those families who do not meet the established criteria* for screening but are found to have a proven pathogenic CDH1 mutation. These families have no known history of gastric cancer and are typically identified through genetic panel testing, often times when exploring increased hereditary breast cancer risk in the family. HDGC FAMILIES: WHERE DO YOU FIT? WHAT’S NEXT? 1) Classified as an HDGC family, they meet the established criteria* for screening for CDH1 gene mutations, and have been found to have a proven pathogenic CDH1 mutation. 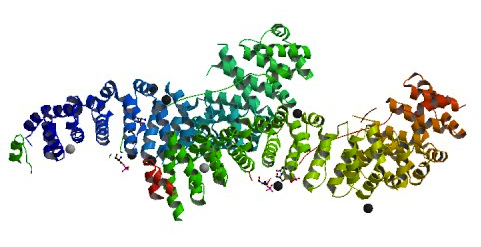 E-cadherin is a protein that in humans is encoded by the CDH1 gene. The normal function of the E-cadherin protein is to allow cells and tissues to adhere to one another in a normal fashion. A pathogenic mutation in the CDH1 gene interferes in with the normal function of the gene. If you have such a mutation, you are at increased risk of developing diffuse gastric cancer in your lifetime. Women also have an increased risk of developing lobular breast cancer. Your genetic counselor will help you determine which side of the family tree is impacted. If you have a parent with this mutation, there is a 50/50 chance that the mutation was passed on to you and each of your siblings. Other relatives (aunts, uncles, cousins, etc.) may also be at risk. If you have the mutation, there is a 50/50 chance that you have or may pass the mutation on to your offspring. If you have tested for the CDH1 mutation occurring in your family and you were not found to carry the familial mutation then your risk for developing gastric cancer (and breast cancer for women) is not elevated based on your family history. Further, any offspring you may have are not at risk of inheriting the familial mutation. Recommendations for those who have a pathogenic CDH1 mutation are clearly outlined in the IGCLC HDGC Clinical Guideline. Generally speaking, endoscopic surveillance is recommended until such time that one is prepared to undergo prophylactic total gastrectomy (PGT), which is the recommended course of treatment. Women should undergo annual breast mammogram and MRI screening beginning at age 30. It is recommended to seek care by a multidisciplinary medical team with expertise in HDGC, including a high risk breast center. The guideline addresses issues regarding ages for surgery on both ends of the spectrum, as well as consideration for various individual preferences and circumstances. Prophylactic mastectomy is not routinely recommended at this time, but may be a reasonable option for some women. – Become familiar with the IGCLC HDGC Clinical Guidelines. – Inform family members who may be at risk for HDGC syndrome. Your genetic counselor can help you with this process. – Share information about HDGC with others, including a downloadable HDGC Fact Sheet. – Seek a multidisciplinary medical team with expertise in HDGC. This may require travel to an HDGC center of excellence. The purpose of surveillance is to diagnose cancer at as early a stage as possible. Surveillance for diffuse gastric is not particularly effective, hence the strong recommendation for risk-reducing surgery. – Although risk reducing gastric surgery is the recommended approach to managing diffuse gastric cancer risk, talk to a gastroenterologist about a strategy for endoscopic surveillance while considering options. 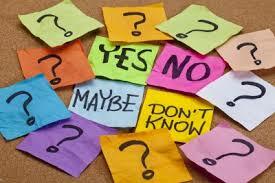 – Decide if and when you want to proceed with prophylactic (preventive) total gastrectomy (PGT). – For women, breast awareness beginning at age 18. Begin high risk breast cancer surveillance at age 30, to include clinical breast exam twice a year, and mammogram and breast MRI. – Based upon personal and family history, consider colonoscopy every 3-5 years, beginning at age 40. – The HDGC Clinical Guideline recommends risk-reducing surgery (also called prophylactic surgery) for diffuse gastric cancer, to reduce the risk of cancer by removing the stomach entirely before cancer can develop. This is a significant operation. It is important to thoroughly discuss the risks and benefits with specially trained medical providers at an HDGC center of excellence. Sometimes tamoxifen or other drugs are used to help prevent breast cancer in women. There remains much to be learned about these preventive drugs in some with CDH1 mutations. Talk to your medical team about this option as it relates to your situation. Also, look to HDGC Clinical Guidelines in 2019 for updates on this topic. Research is in progress in New Zealand to develop preventive drugs as an alternative to risk reducing surgery. Clinical trials may begin in the next 4-5 years. You can support this research with through the HDGC Research Fund established specifically for this purpose. – Consider enrollment in studies, surveys, clinical trials, and gastric cancer and genetic registries. 2) Families that meet the established criteria* for screening for CDH1 gene mutations too, however they do not have a pathogenic CDH1 mutation. 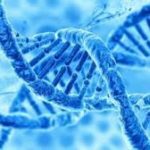 If you have been tested for a CDH1 gene mutation because you have clinical features suggestive of HDGC (meeting the established for criteria for testing for HDGC) and no CDH1 mutation is found, it could be that you don’t have HDGC or another gene mutation is in play that has not yet been discovered. Researchers continue to work on identifying other gene mutations that may increase risk of HDGC. For these patients guidance is not as straightforward. Intensive endoscopic screening in a center with HDGC expertise for first-degree relatives of patients meeting criteria mentioned above may be recommended. Family members falling into this category who have a diffuse gastric cancer (DGC) diagnosis or lobular breast cancer (LBC) diagnosis should consider DNA banking (Prevention Genetics) to be used for future use and discovery of mutations associated with gastric cancer in the future. 3) Non-HDGC families are those families who do not meet the established criteria* for screening but are found to have a proven pathogenic CDH1 mutation. These families have no known history of gastric cancer and are typically identified through genetic panel testing for hereditary breast cancer risk. 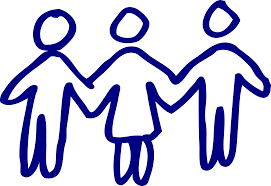 Families falling into this category must work closely with a team in a center with HDGC expertise who can help understand the mutation and interpret results in the context of the family history. This is a new dilemma arising since genetic panel testing has become common. Current HDGC Guidelines (2015) states “one should be very cautious in the interpretation of coding variants identified in non-HDGC families, especially if the alterations do not lead to a premature stop codon.” There is new literature on this, and it will surely be a topic at the 2019 IGCLC Workshop to update HDGC Clinical Guidelines. View Publications under the CDH1|Genetics tab. Please consider joining the PROMPT: Prospective Registry Of MultiPlex Testing registry to advance research and understanding of CDH1 mutations in non-HDGC families.. Unlike mutations classified as pathogenic (causing or capable of causing disease) it is unclear whether or not this alteration in the DNA actually increases the risk of disease, or is a benign variation that has no impact on gene function. IGCLC HDGC Guideline addresses issues about VUS and should be taken into consideration. – Discuss IGCLC HDGC Guidelines with your medical provider. – The management of patients and families with clinical features suggestive of HDGC but without a germline CDH1 mutation, is not straightforward. IGCLC HDGC Guideline advises intensive endoscopic surveillance in an expert center for first-degree relatives of patients meeting criteria. This is also the case for patients and families who carry a CDH1 variant with unproven deleterious effect. – If you have received a genetic test result of a VUS alteration in the CDH1 gene, please consider joining the PROMPT: Prospective Registry Of MultiPlex Testing registry to advance research and follow the status of your variant. – Find out if your VUS has been analyzed. A lab in Portugal performs analysis of many CDH1 VUS alterations in order to inform patients and clinicians about the severity of the variant. If you are diagnosed with a CDH1 VUS, please have your genetic counselor contact us for information on how to obtain services for functional evaluation at Raquel Seruca’s lab (IPATIMUP/i3S, Porto). There is no fee for these services. – Read more about the work in Portugal related to CDH1 VUS. Sign up below to Keep In Touch, and be informed of updates to the HDGC Clinical Guideline coming in 2019.